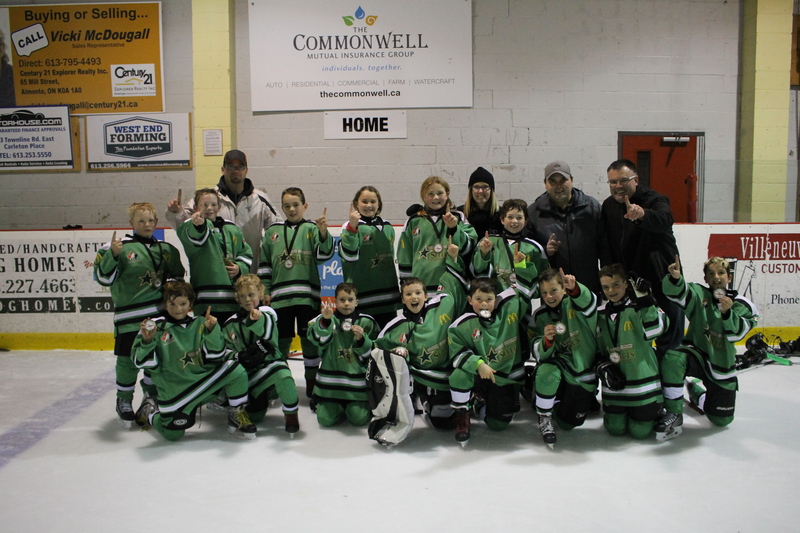 The South Stormont Selects Atom C2 Hockey Team captured gold at the Almonte/Pakenham Tournament this past weekend. After winning the first two games on Saturday, they were given a bye to the Semi Finals on Sunday. After squeaking by the Aylmer Faucons (2-0) in the semi’s the had their sight on Gold beating Clarence 5-1 in the Finals to Capture Gold. Goaltender Tavish Champagne had 3 shootouts and only let in 1 goal all tournament. This entry was posted in Team News and tagged Atom, C House, Champs, Gold, LSLMHL, south stormont minor hockey. Bookmark the permalink.